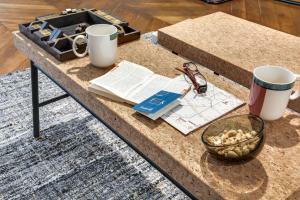 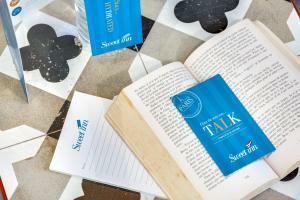 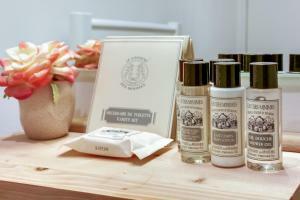 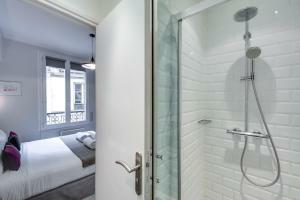 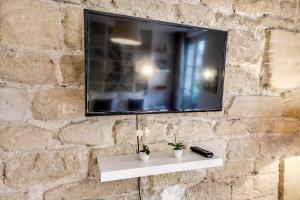 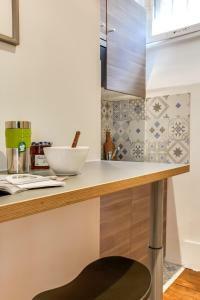 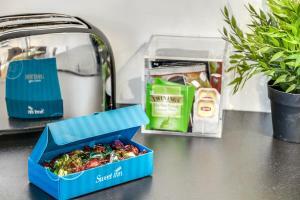 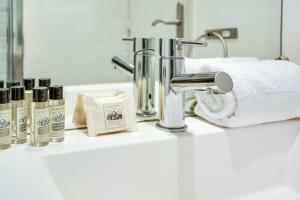 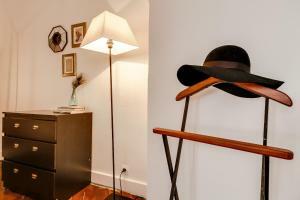 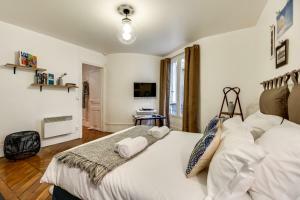 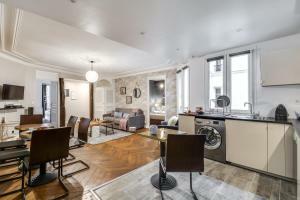 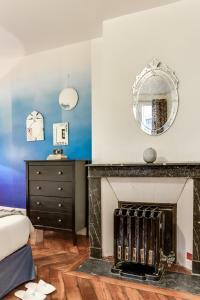 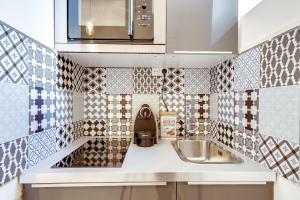 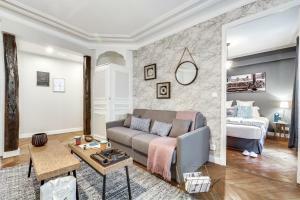 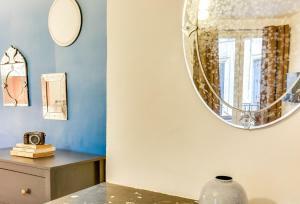 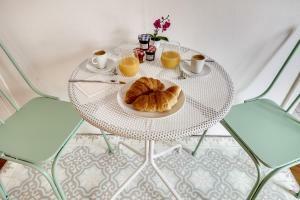 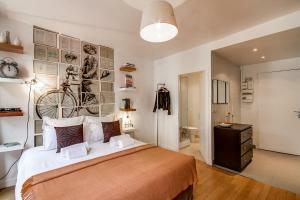 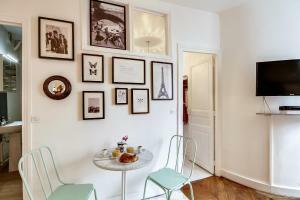 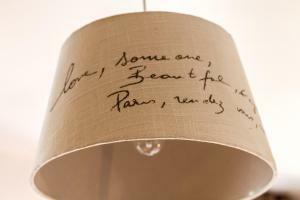 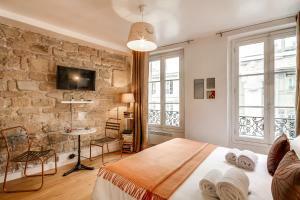 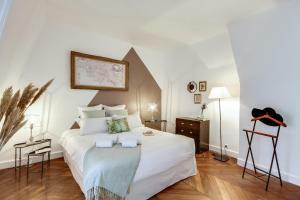 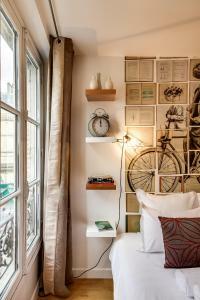 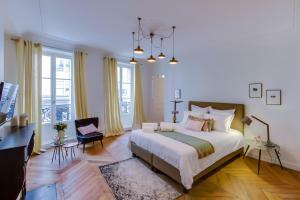 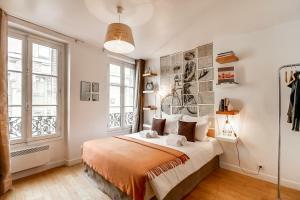 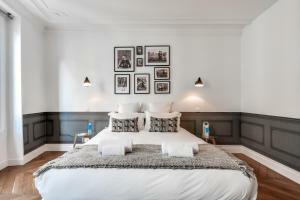 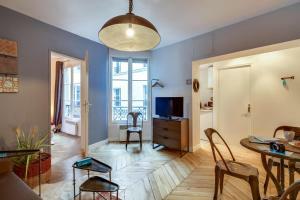 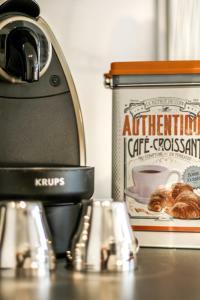 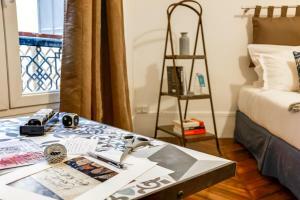 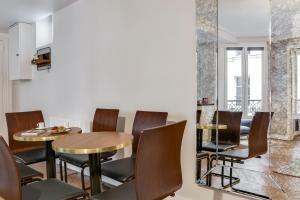 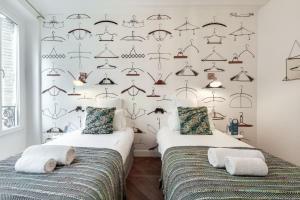 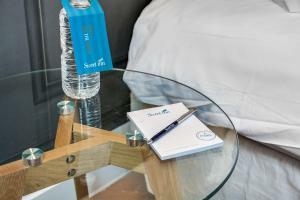 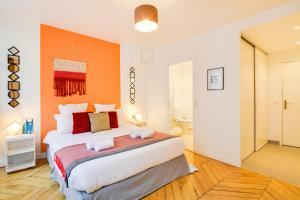 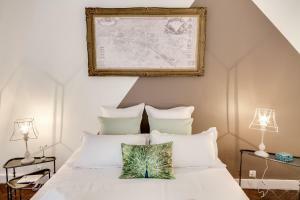 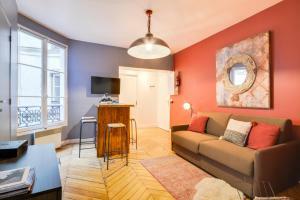 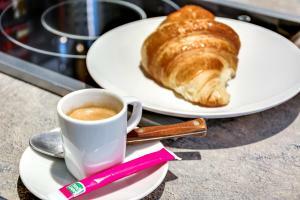 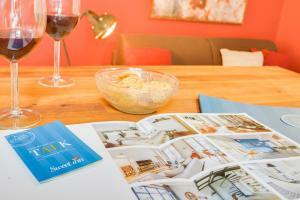 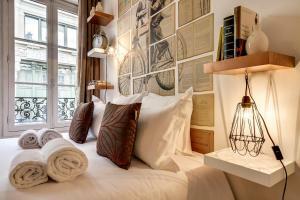 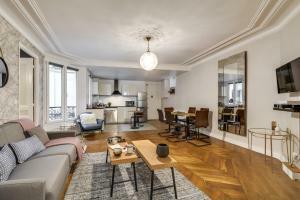 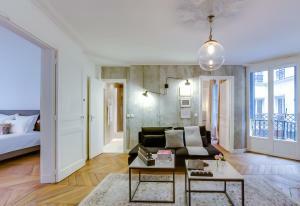 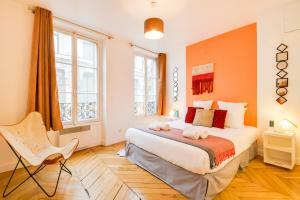 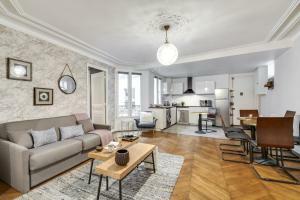 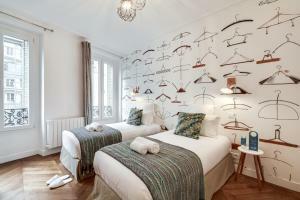 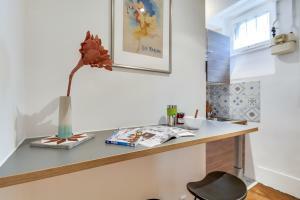 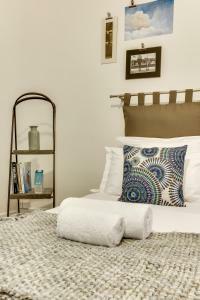 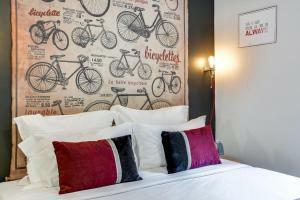 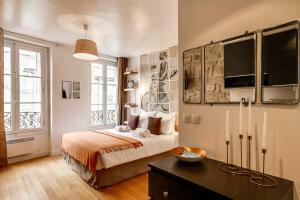 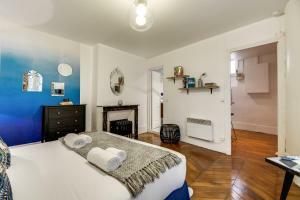 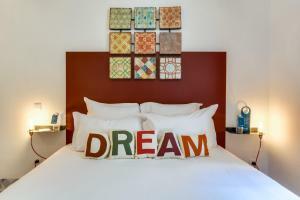 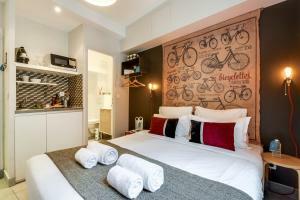 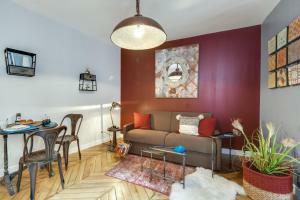 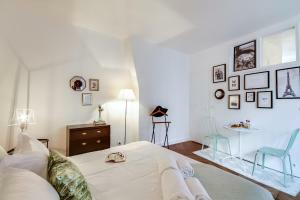 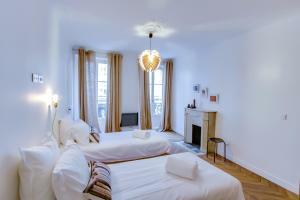 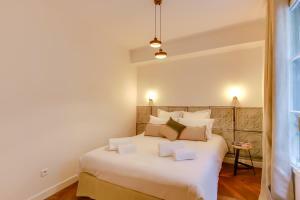 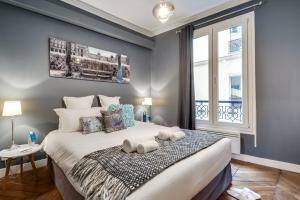 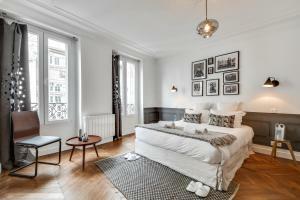 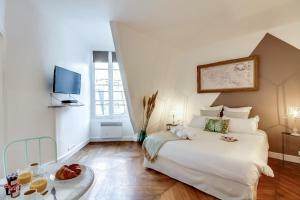 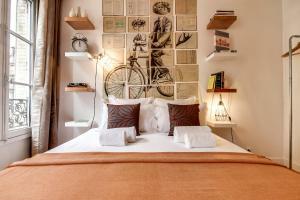 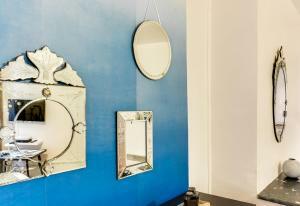 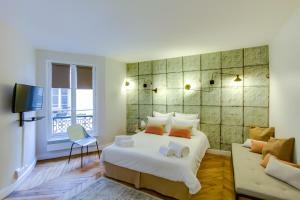 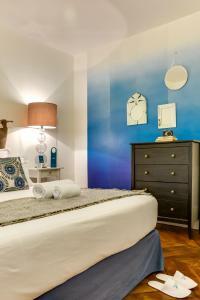 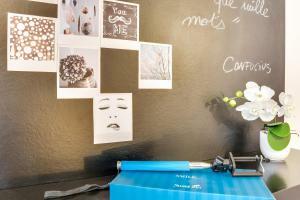 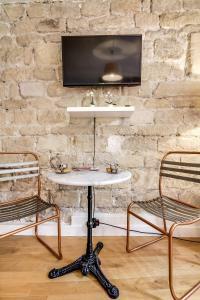 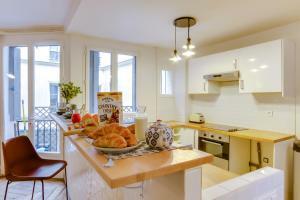 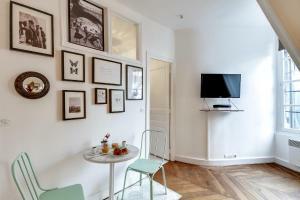 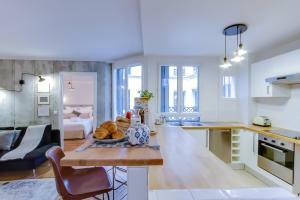 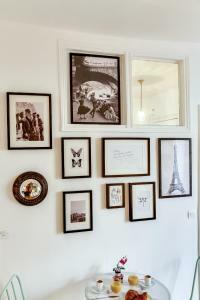 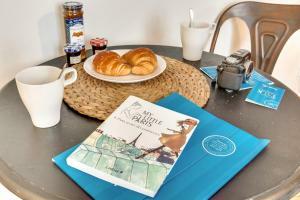 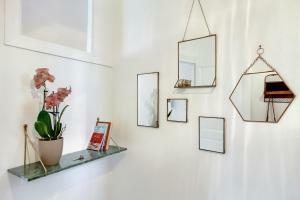 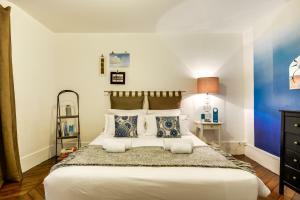 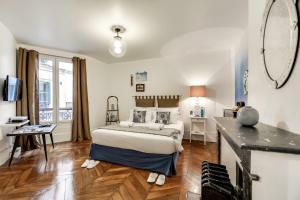 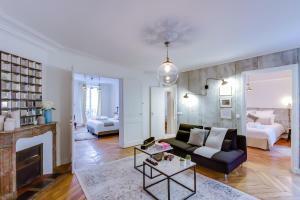 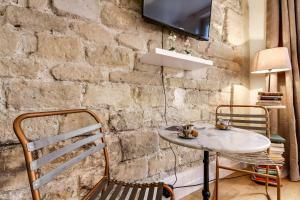 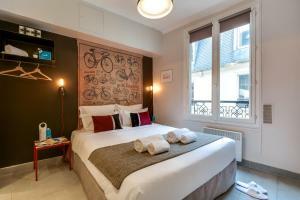 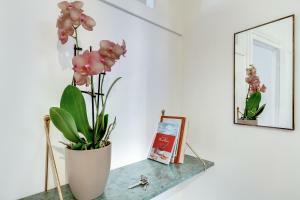 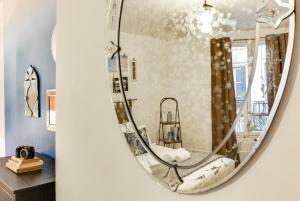 Sweet Inn Apartments - Le Marais offers self-catering apartments set in several locations in the Marais district of Paris. 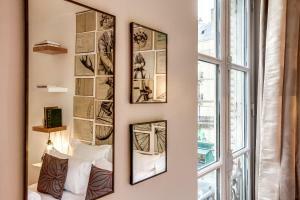 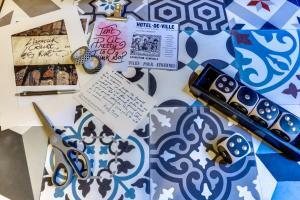 The Pompidou Centre is only a 5-minute walk away. 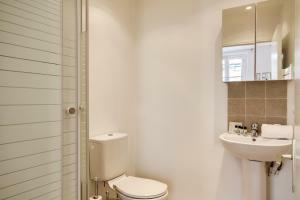 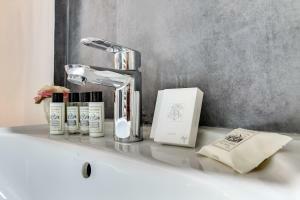 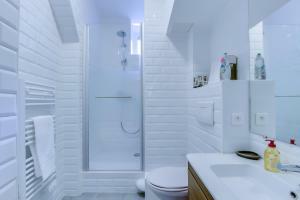 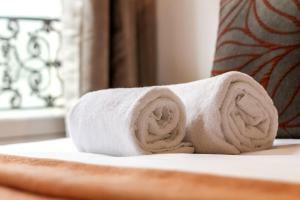 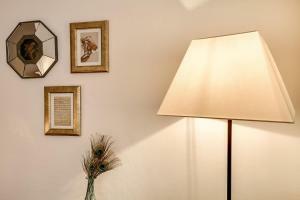 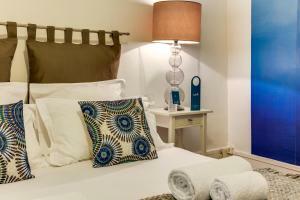 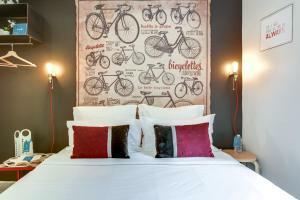 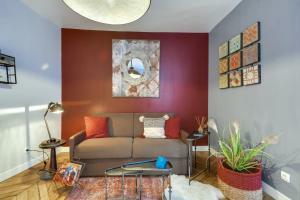 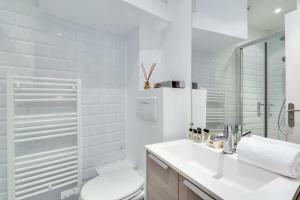 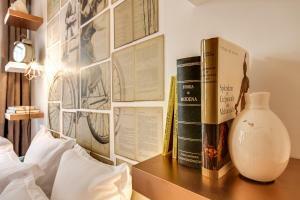 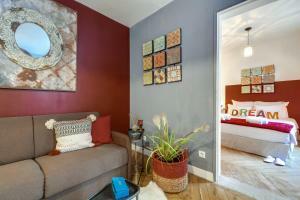 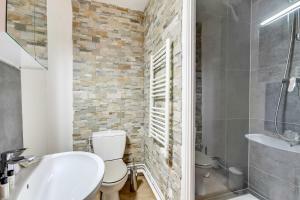 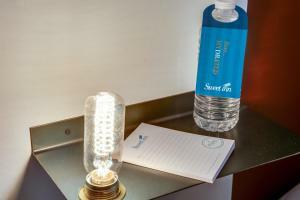 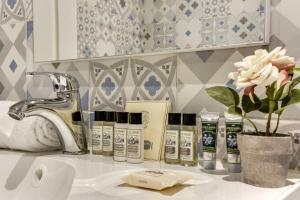 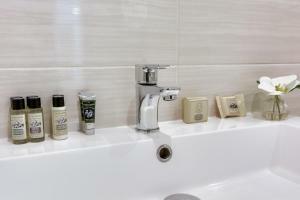 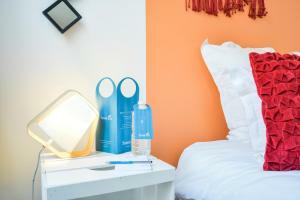 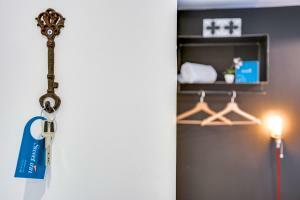 The apartments feature a flat-screen TV and a bathroom with free toiletries and hairdryer. 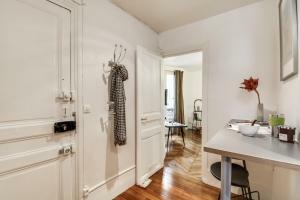 The kitchen or kitchenette is equipped with a microwave and refrigerator. 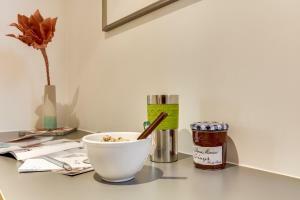 Grocery shops and restaurants can be reached within walking distance and free WiFi access is provided in the accommodation. 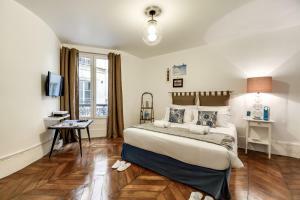 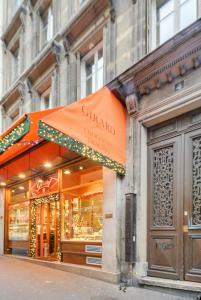 Hôtel de Ville Metro Station is 220 metres away and offers direct access to the Louvre Museum and Gare de Lyon Train Station. 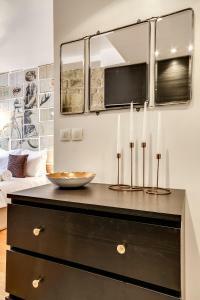 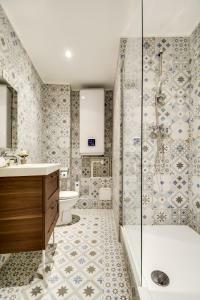 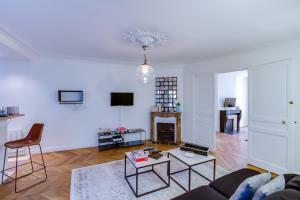 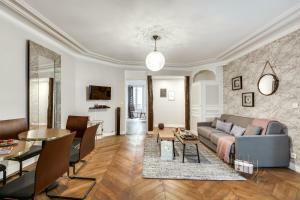 This apartment features a parquet flooring, bathroom with shower and a living room with a flat-screen TV and fireplace. 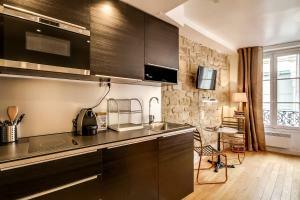 The kitchen is equipped with an oven, microwave and refrigerator. 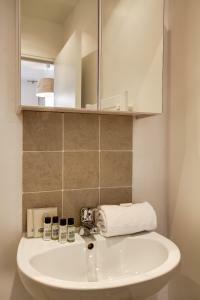 Please note that this property is located on the first floor with no lift access. 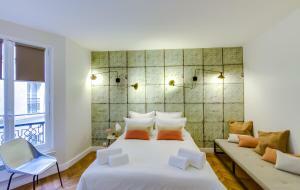 Rate: € 474.82 ... € 566.47; select dates below to get current rates. 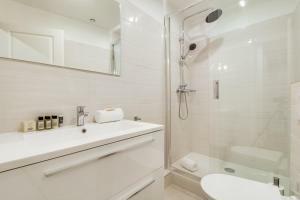 Located on the 3rd floor with no lift access, this apartment features a flat-screen TV, sofa and a bathroom with free toiletries and hairdryer. 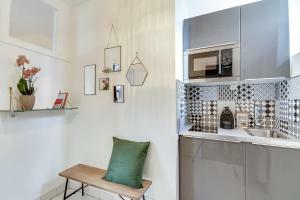 The kitchen is equipped with an oven, microwave and refrigerator. 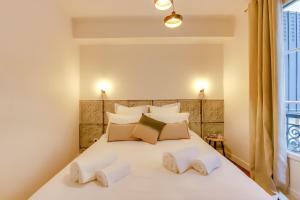 Please note that the third person is accommodated on a sofa bed next to the double bed. 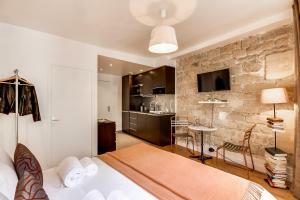 Rate: € 159.12 ... € 578.60; select dates below to get current rates. 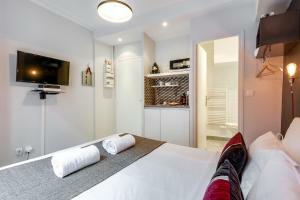 This studio features a flat-screen TV and a bathroom with free toiletries and hairdryer. 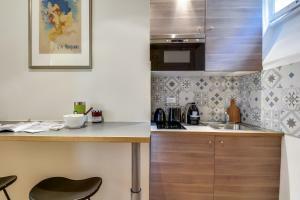 The kitchen is equipped with a microwave and refrigerator. 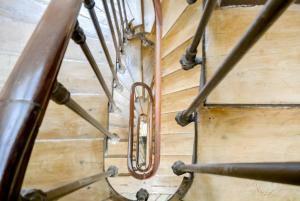 The studio is located on the fourth floor and is accessible by a staircase. 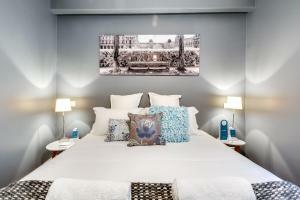 Rate: € 135.00 ... € 584.67; select dates below to get current rates. 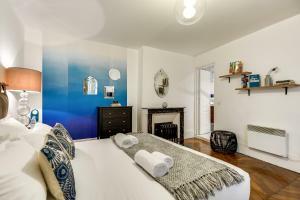 Located on the 3rd floor with no lift access, this studio features a flat-screen TV, wardrobe and a bathroom with free toiletries and hairdryer. 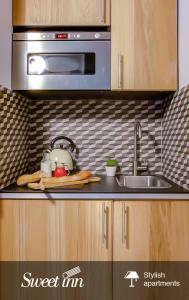 The kitchenette is equipped with an oven, microwave and stovetop. 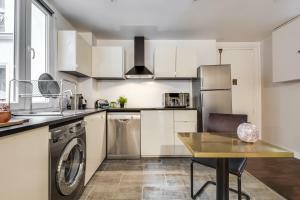 Located on the 3rd floor with no lift access, this studio has a kitchenware, oven and stovetop. 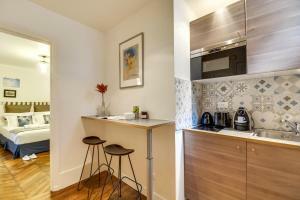 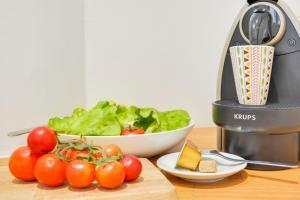 Located on the 5th floor with no lift access, this studio features a microwave, electric kettle and kitchenware. 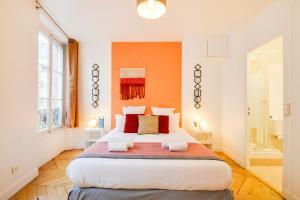 Rate: € 140.40 ... € 569.50; select dates below to get current rates. 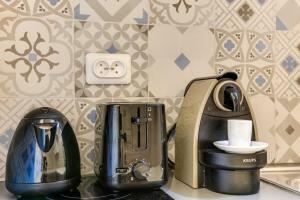 This studio has a electric kettle, microwave and kitchenware. 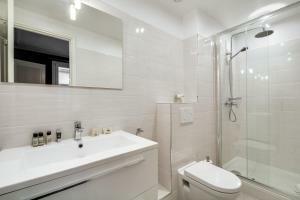 Please note that this property is located on the first floor with no lift access. 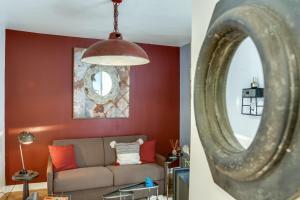 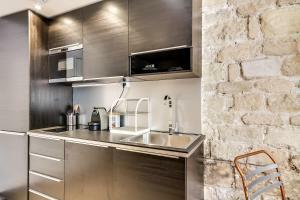 This apartment features a stovetop, microwave and kitchenware. 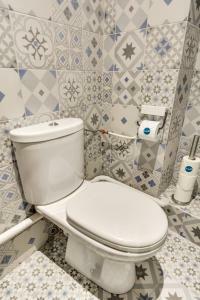 Please note that this property is located on the second floor with no lift access.